Finding a job can be tough, and no matter how many side hustles you might have up your sleeve, nothing beats a stable job. But what about landing a job you actually like? I forgot that was an option until I started working at The Penny Hoarder! We pulled together a list of 61 companies that offer not only stable employment and good pay, but also killer employee benefits. These employers offer everything you need — and benefits you didn’t even know you wanted! 1. BBVA Compass offers a bonus up to $1,000, deposited into a Health Reimbursement or Savings Account, for those who participate in the “Wellthy for Life” program and attend the company’s health-related events. The company also offers access to a breast milk delivery service for mothers who are traveling on business. 2. Regions Financial Corp. offers tuition reimbursement for undergraduate degrees and an Associates’ Homeowners Program. 3. Visa, Inc.: While benefits vary by country, all Visa employees receive health insurance, life insurance, savings plans, holidays and paid time off. Visa matches financial gifts to eligible charitable organizations on a dollar-for-dollar basis, up to $5,000 per calendar year. 4. Idaho Central Credit Union offers computer wage advancements, a wellness program, a scholarship program for dependents and tuition reimbursement. 5. Quicken Loans offers infertility coverage (full coverage of procedures, prescriptions, etc.) and also full coverage of autism care, according to PR manager Chris Smith. And get this: They offer pet insurance! It’s included in their MetLife VPI policies, and it costs around $8 per pay period. 6. Prudential Financial gives you access to benefits like a life coach and nine on-site wellness centers. New moms can take eight weeks of fully paid leave and additional 22 weeks unpaid. 7. Umpqua Bank employees receive a $500 professional dress advance, 100% transportation reimbursement, tuition reimbursement and 40 paid volunteer hours. 8. South Carolina Federal Credit Union offers benefits that range from pet insurance and tuition reimbursement to on-site food vendors and volunteer opportunities. 9. Daxko covers all member registration fees at any YMCA or JCC. Top-performing employees get helmet stickers (they come with gift certificates, too!). It also offers themed quiet rooms — including an entirely pink Barbie room and a dinosaur room. Long-time employees receive a four-week sabbatical every seven years. 10. WebPT employees can attend employee-led clubs and games, paid for by a team-building budget. There are also yearly events, like the spring carnival and the annual “Biggest Loser” challenge. 11. Appointment-Plus employees say benefits include paid gym memberships, snacks and sodas and a flexible policy regarding working from home. Plus, employees are also allowed to bring their kids and pets to work with them. 12. Acxiom offers education reimbursement, adoption leave and assistance, on-site cafeteria and child care (certain locations only), a wellness center and pet insurance discounts. 13. Asana creates software that helps teams track and manage their projects. Employees get unique benefits like $50 monthly Uber credits. They also get free executive coaching, guided meditation, untracked PTO, 16 weeks paid maternity/paternity leave for new families, gym membership and three gourmet meals a day thanks to their in-house culinary program and Eating With Wellness coach & nutritionist. 14. Gartner is an IT company with an impressive list of benefits. Perks include an employee discount, commuter checks and assistance (checks or vouchers for using public transit), legal assistance, tuition reimbursement and gym memberships. 15. 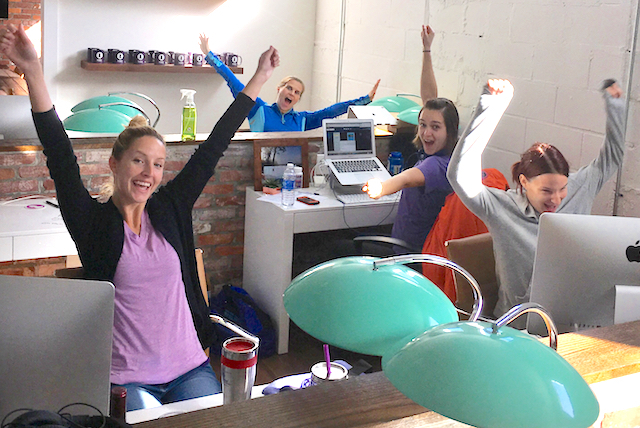 Basecamp employees enjoy four-day summer workweeks, a $100-per-month fitness allowance, $100-per-month massage allowance, $1,000 annual continuing education allowance, Community Supported Agriculture (CSA) allowance, one month sabbatical every three years, a work-from-anywhere option and holiday gifts. 16. World Wide Technology offers employees tuition assistance and reimbursement, fertility assistance, on-site healthcare, charitable gift-matching, a work-from-home option and volunteer opportunities. 17. RightNow Technologies (Oracle) offers a commuter benefit program, a medical plan with unique perks (e.g. autism benefits and round-the-clock phone consultations) and several income protection benefits. 18. Sandia National Laboratories employee benefits include a winter shutdown, compressed workweek, mentoring opportunities with scientists and engineers and K-12 educational outreach programs in math and science for employees’ children. Plus, this government job gives you every other Friday off! 19. Hyland offers a $10,000 tuition reimbursement for graduate courses and $4,000 per year for undergraduate (my favorite perk!). Employees also get 12 flex days, on-site clinics and fitness classes, massages, car detailing, haircuts, childcare services and travel services. 20. Software Advice employees celebrate Massage Fridays, eat from the fully stocked kitchen and host boot camp classes after work three times a week. Who needs a life outside of work here? Oh, I almost forgot to mention its generous work abroad program. 21. Epic Systems’ campus in Madison, Wisconsin, boasts community gardens, on-site car detailing, dry cleaning and a library. Employees enjoy EpicOdyssey trips, a professional development fund and a month-long sabbatical after five years’ employment. 22. Google has long been considered the best of the best places to work, pioneering perks like on-site fitness centers and free gourmet food — plus unique access to new products! 23. Apple employees say they get $500 every three years toward a Mac or Macbook, 50% off Apple products and 10% off accessories. They also get a mobile discount, tuition reimbursement, gym reimbursement and a $20,000 egg-freezing stipend! 24. Facebook provides paid leave for new parents, adoption and surrogacy assistance, “baby cash to help with newborn expenses” and a wellness allowance. 25. At Riot Games, creators of “League of Legends,” company culture includes a Hackathon and “Taste the Riot” fairs. “Rioters” receive ongoing education and training through Riot U, top-of-the-line computers and massage therapy. 26. Yahoo offers on-site dental care, haircuts, dry cleaning and alterations, oil changes, car wash and bike repairs. Employees are eligible for health insurance that covers dependent parents, and they can also take advantage of an on-site fitness center and day care. 27. Angie’s List employees receive some of the most unexpected benefits, including a massage therapist and an on-site fitness center with everything from Zumba to Weight Watchers at Work. You can also get help with weight-loss goals on “Transformation Tuesdays” and reduce stress through company intramural sports, a YMCA discount and the on-site garden. 28. Hubspot employees report benefits including professional development programs, unlimited paid time off, $5,000 a year toward continuing education, as well as company socials. 29. The Alaska Collection offers perks like free travel, flexible schedules and seasonal work. Employees can also get accommodations at company lodges. 30. Kimpton Hotels & Restaurants is known as a leader when it comes to providing benefits to LGBT employees, says Fortune. It also understands employees’ love for their pets — the company offers pet insurance and a pet-bereavement policy, and allows your pet to join you in the office! In addition, the company offers free healthy snacks and lunch, fitness classes and on-site dry cleaning. 31. Dover Downs Hotel & Casino actually offers jury duty pay! Employees also get free on-site parking (with preferred parking for carpoolers), free internet kiosks, as well as a break room, dining room and lounge. 32. Delta Airlines employees enjoy free flights, and employees report perks like concierge services, employee mobile phone discounts, tuition assistance and a gym membership. 33. Marriott offers discounted hotel rooms and gift shop discounts across the globe. Employees also enjoy gift shop discounts. 34. Jackson Hole Mountain Resort offers free transport to and from work, free coffee, commuter reimbursement, and free access to the tram, mountain bike park, ropes course and drop tower. 35. Dillard’s offers employees competitive retail positions with flexible scheduling, paid time off and employee discounts. Every Dillard’s enthusiast needs this job! 36. Publix offers benefits like tuition reimbursement and tuition assistance for students in certified culinary schools. Full-time employees get six paid holidays, company-paid life insurance and more. Plus, no previous experience is necessary for most positions. 37. Collective Brands, parent of Payless ShoeSource, offers benefits like business travel, accident insurance and a dependent care spending account. Plus, don’t forget the employee shoe discount! 38. Counsyl, a DNA screening company, has a fully-equipped gym with daily classes, catered lunch and free laundry. Employees also report receiving a $650 car allowance as part of the sales force, so you don’t need to be a geneticist to benefit! 39. Employees of Northside Hospital report they receive benefits like a gym membership, employee discounts, mobile phone discounts, child care and dependent care. And you don’t have to be in the medical field to apply for the company’s non-clinical jobs. 40. Abbott Labs is a biotech and pharmaceutical manufacturer. It offers child care, adoption assistance, employee discounts, gym membership, mobile phone discounts, tuition assistance, legal services and more. 41. Humana offers on-site health screenings, personal health coaching, tuition assistance, learning events, mentorships, survivor support and adoption assistance. 42. Mayo Clinic supports education with its own universities and tuition assistance, an employee education program and dependent scholarships. Employees can even use Mayo Clinic classifieds to buy and sell items. 43. Atlantic Health Care offers tuition reimbursement, adoption assistance, concierge services and mentorships. 44. Sanford Health employees are eligible for an employee perks program offering local business discounts, a worksite wellness program, educational assistance, voluntary benefits like cancer or accident coverage, identity theft protection and adoption assistance. 45. Trupanion encourages employees to bring their pets to work! Over 233 cats and dogs hang out in the office each day. Employees also enjoy dog-walking services and free pet insurance. The company also told TPH it offers days off for pet wellness and pet bereavement. 46. Groundfloor Media, Inc. employees enjoy paid time off to volunteer, a monthly active lifestyle allowance, annual Groundhog Day celebrations, and a weekly beer club to learn about — and sample! — different kinds of beer. 47. Dolby employees in San Francisco and London get in-office screening rooms (in-office movie theaters) and other competitive benefits that vary by location. 48. Miami’s Florida International University provides auto and pet insurance and legal services, among other benefits. 49. The University of Southern Mississippi offers dependent child care and half-price tuition for unmarried dependent children, allows full-time employees to take up to six credit hours per semester, and goes above and beyond with benefits like moving assistance. 50. The University of Pittsburgh offers education programs for staff and faculty, as well as spouses and dependents, including 100% tuition coverage. 51. West Virginia University offers a housing down payment program, all-ages fitness classes and tuition assistance and waivers. It also has a huge number of employee discounts good for athletic events, computer and antivirus software, Dell computers and accessories, as well as at retailers like Barnes & Noble, Apple, Enterprise, Microsoft Office and more. 52. Cummins Inc. employees report tuition assistance, fertility assistance, an employee discount, gym memberships, on-site healthcare and legal assistance in addition to traditional benefits. 53. MillerCoors jobs aren’t just for beer lovers (although you do have to be 21 or older). Benefits include MillerCoors University and a company pub, where you can sample 13 varieties of beer — free of charge! 54. Stryker, a medical technology manufacturer, offers benefits like a mobile phone discount, gym membership, employee discount, job training and tuition assistance, according to current and former employees. 55. Nestle Purina PetCare employees can enroll their kids in the child care center to learn Spanish, gymnastics, computer skills, swimming and even go on field trips while their parents work. 56. Union Pacific employees have access to child care (Omaha only), adoption assistance, gift matching, a health coach, tobacco cessation programs, a transportation spending account and tuition reimbursement. 57. J.M. Smucker Company will cover 100% of your tuition costs of company-approved courses with no cap. 58. A job at The Hershey Company sounds almost as tempting as the chocolate! The company offers free admission to Hersheypark, Springtime in the Park, Hersheypark in the Dark and Hersheypark Christmas Candylane. Employees can also receive training in First Aid, CPR and other professional certifications. 59. Summit Consulting offers bikeshare SmarTrip cards and performance bonuses for $500-$750. Employees also get tuition reimbursement, executive coaching and the ability to attend seminars to help them reach their full potential. 60. Progressive Insurance offers employees on-site medical facilities at select locations, as well as fitness centers, where employees can take advantage of aerobics, yoga, running clubs and more. The company also offers adoption assistance and a Flexible Spending Account for child and elder care. 61: Bonus! If you love The Penny Hoarder, we have openings in St. Petersburg, Florida. We pay 100% of the premium on health care coverage, offer a 4% 401(k) match, allow flex-time and work-from-home options, unlimited sick time and more! Oh — we also have a beer fridge and free healthy snacks all day long. Your Turn: Do you know any companies with killer employee benefits? Carissa Richetti is an editorial intern at The Penny Hoarder. She loves writing horror stories and political activism pieces. She is a big fan of side jobs and loves to collect seashells and roam pet stores in her spare time. Kaitlyn Perta, an editorial fellow at The Penny Hoarder, contributed research to this post.